“I Am a Child of God” is a Latter-day Saint hymn and song for children. The lyrics were written in 1957 by Naomi W. Randall and have been translated into over 90 languages. The phrase “I Am a Child of God” is also used in The Church of Jesus Christ of Latter-day Saints as a declaration of a basic belief of Mormonism. Randall mailed the lyrics to her friend Mildred T. Pettit in California, who wrote the accompanying music. The song was first performed at a stake Primary conference in 1957. After hearing the performance, LDS Apostle Spencer W. Kimball asked the Primary general board, of which Randall was a part, if the phrase “Teach me all that I must know / To live with him someday” could be changed to “Teach me all that I must do / To live with him someday”. As Kimball later explained, “To know isn’t enough. The devils know and tremble; the devils know everything. We have to do something.” Randall accepted the change. The song was first published in the church’s 1969 Sing with Me, a songbook for children. In 1978, Randall composed a fourth verse to the song. However, when the song was added to the LDS Church’s 1985 hymnal, the decision was made to not include the fourth verse because it was considered by the Church Correlation Committee to be “not officially part of the song”. When a new church songbook for children was produced in 1989, the fourth verse was included. “I Am a Child of God” is hymn #301 in Hymns of The Church of Jesus Christ of Latter-day Saints and on page #2 in the Children’s Songbook. “I Am a Child of God” is one of the 45 hymns that the church publishes in its basic curriculum sources that are used in areas of the world where the church is new or underdeveloped.Thus, it is typically one of the first hymns that new Latter-day Saints receive and learn. The song has been translated into over 90 languages and has been the subject of numerous musical adaptations by choirs and other musicians. 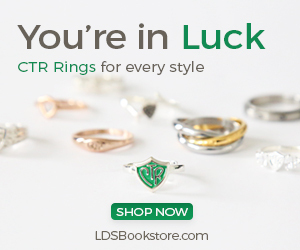 “I Am a Child of God” is a common phrase used in curriculum, magazines, sermons, and children’s clothing, jewelry and novelties as a means of teaching a basic doctrine of Mormonism in simple language. In February 2007, the LDS Church celebrated the 50th anniversary of the writing of “I Am a Child of God”. The copyright to “I Am a Child of God” is owned by Intellectual Reserve, Inc., a corporation established by the LDS Church to hold its intellectual property. However, Intellectual Reserve allows copying or downloading of the music and lyrics of the song for incidental, noncommercial church, or noncommercial home uses. In the United States, the phrase “I Am a Child of God” is not trademarked and may be used by anyone for commercial purposes.